Fairview Yacht Ownership gives you all the benefits of owning a yacht, with no additional overheads! Own a Zodiac Open 7M RIB, available now in Port Hamble Marina. Save £60K on a new Dufour 430 GL, available to view in UK Port Hamble Marina, now. Save 40% off the RRP on an Oceanis 46.1, available in Greece, now! Own a Merry Fisher 795 powerboat ready to go for just £59,995 + VAT – brand new and available now in Port Hamble Marina! 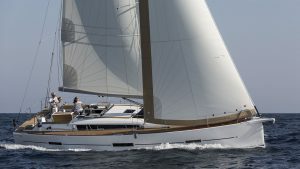 Save £75K on a new Dufour 460 GL, available to view in UK Port Hamble Marina, now. To take advantage of one of our March ownership special offers, contact us today at info@fairviewsailing.co.uk or call 02380 457023.